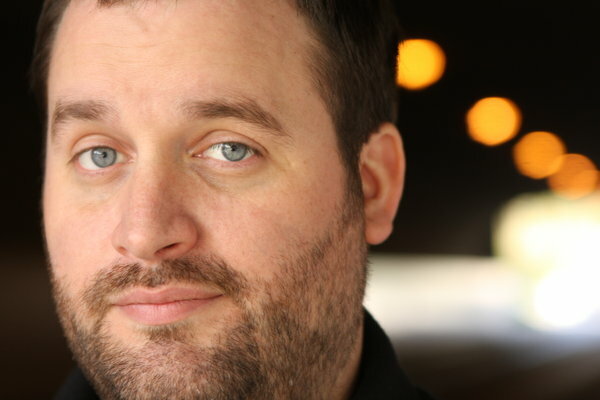 It’s all laughs at the Comedy Mix on Saturday night as headliner Tom Segura takes the stage. Patrick Maliha, the MC, prepares audience members for Segura by describing him as awesome and describing how he blew the roof off the venue on the night before. He does it again. From talking about people with no teeth, to comparing living in LA to living in prison, Segura has the audience roaring with laughter. After the show, he stands outside the venue selling his album Thrilled, which features nearly an hour of his comedy. Members of the audience stopped to talk to Segura, including one man who claims he hadn’t laughed that hard in a very long time. Segura is a comedian from LA, whose favourite comedians have included Bill Cosby, Eddie Murphy, Chris Rock, George Carlin, Dave Attell and Dave Chapelle. “I feel like I’m always being inspired by different people,” Segura says. Segura was born in Cincinnati, but moved around a lot growing up. He started thinking about a career in comedy when he was 18, and became set on the idea when he was 21. He decided to move once more, this time to LA, to pursue a career in comedy. He started taking classes at an improv school where a couple of his fellow students, who were stand-up comedians, took him out to a couple of different clubs to show him what it was all about. Three weeks later he started trying it out himself. “I’ve always liked doing it; making people laugh and I really liked performing,” says Segura. A lot of embarrassing things can happen during stand-up comedy, especially at the beginning of a career. “There’s everything from flubbing what you say to forgetting a joke, but I think the most embarrassing thing is getting really upset,” Segura says. He recalls losing his cool on a couple of occasions when someone in the audience yelled something at him. He now believes the best way to deal with hecklers is to not let them get under your skin: in order to come out on top, you have to be funny back at them. “If you lose your cool, which I’ve done, it’s really embarrassing. It throws everything off. You don’t want to do that but sometimes you feel undermined because somebody just mocked you,” says Segura. Segura says ideas for jokes just come to him. It’s not something he really plans for. “I’ll just be having a conversation with someone, and then start thinking, ‘Hey, that could be a good joke’,” he says. He also comes up with jokes by writing about something he thinks about a lot. “If there’s something you’re always thinking about, that’s usually a trigger that you should write about it and a joke will just come to you,” he says. For Segura, what makes a good comedic performance is someone who has a solid point of view. “It’s always better as an audience member to watch someone who is not just funny, but interesting. It really heightens the performance,” he says. Segura also believes that a good performance is a combination of material, personality and energy. His advice to beginner comedians is to “quit now, don’t do it,” he says. If Segura could go back, he says he would have started doing comedy earlier. “It took me awhile to gain that momentum, because at first, it’s really intimidating to try to be an entertainer basically,” he says. Some of the highlights of his career include having a special that recently aired on the Comedy Network, doing festivals in Montreal, Las Vegas and Vancouver, and getting the opportunity to open for Russell Peters in front of 16,500 people. “I’ve been pretty lucky that I’ve been able to do some pretty cool things. I don’t feel like there’s just one highlight, I feel like it’s been a lot of different things,” he says. Segura believes there’s a strong future for stand-up comedy. “I think it’s exciting right now. There’s like a resurgence going on. You go to these clubs and it’s packed, the show is sold out. That’s a really good thing to see and it’s inspiring to see that people still want to go to live shows. And there’s so many young comics to watch. I think there’s a really bright future for stand-up comedy,” he says. To learn more about Tom Segura and his tour dates, visit his website.